Sunday is a big day for tournament poker. A few weeks ago PokerStars made their Sunday Majors earlier in the day in order to accommodate their European players better. Your first opportunity to play a PokerStars Sunday Major is at 8:00 AM ET. This event costs $109 to enter and features a prize pool of at least $75,000. At 12:00 PM there is another $109, but this time it is a rebuy tourney. It carries a guaranteed prize pool of $200k. You can play for the second largest prize pool of the day in the Sunday Warm-Up which starts at 11:00 AM ET and offers a $500,000 prize pool. It costs $215 to play this event. The Sunday tournament for the microstakes players comes in at 13:30 ET. This tournament also has a $200,000 guarantee, but the buy-in is just $11! The most prestigious tournament to win at PokerStars download is called the Sunday Million. It features a massive $1,000,000 guarantee, and it costs just $215 to enter! This tourney offers the chance at a 6-figure payday. If you play tons of volume, there are plenty more tournaments. The Sunday 500 costs $530, takes place at 15:30 ET and offers at least $250,000 to play for. For another $215 buy-in, you can play the Sunday Second Chance at 16:30 PM ET. It has a $125,000 prize pool. If you are looking for a way to mix up what you play, give the Sunday 6-Max or Sunday Supersonic a shot. You can enter the 6-Max for $162 and you’ll be playing for at least $60k. It starts quite late in the day at 17:00 PM ET. The Supersonic takes place even later at 6:30 PM ET, but it finishes quite early since it is a hyper-turbo. The guaranteed prize pool is $40,000 and the entry fee is $215. These are all the Sunday Majors, but there are tons more tournaments that are exclusive to Sundays that I have not mentioned. Sunday also has $215 tournaments for Stud and Draw. Weekends are already great in the first place, but the Sunday Majors on PokerStars add even more exciting possibilities. Do your errands during the week and find a way to busy your children, because Sunday might be a long profitable day. If you are looking to win huge in a poker tournament, weekends are the best time to play for sure. A huge percentage of the population gets weekends off from work, which could mean a lot of free time to sit at the tables. There aren’t many poker tournaments that are exclusive to Saturdays. This is strange when you consider that Sundays offer a number of MTTs with huge guarantees on almost all poker sites. PokerStars decided to fill this gap in the tourney schedule and come up with what goes by the Saturday Lineup. The Saturday Lineup offers seven special MTTs that only take place on Saturdays. There is a generous guarantee for all the events, and they are meant to give low to mid stakes players something to look forward to on the weekend. The first event is quite early at 7:00 AM ET, and it features 6-max NL Hold’em. The entrance fee is $22 and you’ll have the chance to win a portion of a minimum of $30k. Those juggling small bankrolls can enter the $3.30 tournament called the Saturday Micro. With the guarantee at $30k, someone is guaranteed to walk away from this tournament a huge winner. The event starts at 8:00 AM ET. If you need a good Omaha tournament to play on Saturdays, you can try the $55 PLO tourney at 09:00 ET. Like the previously mentioned tourneys, the guarantee is also $30k. For the rest of the article, the tournaments are all No Limit Hold’em. There is a $27 buy-in tournament at 10:00 ET. It has been dubbed the Saturday Eliminator and has a minimum prize pool of $40k. A little later in the day at 15:30 PM ET perhaps you would like to play some heads-up poker for $11. This event has been dubbed the Saturday Duel, and it features a $20,000 guaranteed prize pool. The Saturday Lineup offers two turbo events for those without 12 hours to play poker tournaments. The first occurs at 11:00 AM ET, and it is a 3x Turbo Rebuy event. You’ll pay $2.22 to enter, and then you can rebuy when necessary for $2 each. You’ll be playing for a $50,000 guaranteed prize pool. The other turbo also has a $50,000 guarantee. You will need to be at your computer at 19:00 ET and willing to pay $33. This special Saturday-only tournament is aptly known as the Saturday Speedway. The more players that participate, the bigger the prizes are, and bigger prizes means more money in your pocket! If you are a low stakes MTT player, you are sure to look forward to playing every Saturday. If you can’t afford the sky high buyins that the Sunday Majors usually require, you will absolutely love the Saturday Lineup. 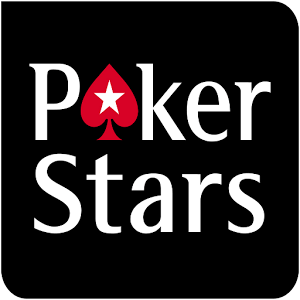 Read our full review of PokerStars here.